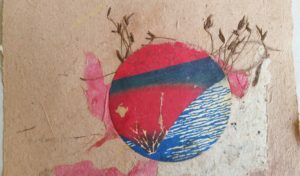 The papermaking workshop scheduled for Saturday April 7 will be going ahead, with 4 places still available, however the venue has changed and it will now be held at my studio. 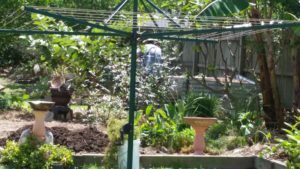 The studio is set amongst my permaculture garden and participants will be able to see many of the plants which I use to make my botanical papers. I have had a loan from my Paper Artists group of a Hollander beater, a machine which softens and refines plant fibres without cutting them, like a blender does. I have been experimenting with the beater with various seasonal prunings and trimmings from the garden, including Mondo grass from around the frog pond, sweet potato prunings from under the Mandarin tree, and a mixture of bunya nut peelings and red banana trunk. I haven’t had a chance to make any paper sheets from these pulps yet, but am very keen to try them with the participants in the April “Playing with Pulp” workshop! 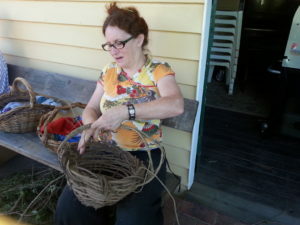 I have agreed to run a workshop in weaving with cat’s claw on Saturday May 5. I am hoping the Sisters of Mary can become involved by gathering the cat’s claw, thereby helping native forests attacked by this invasive creeper and use it for a useful purpose. The very next day, Sunday May 6 is the Gympie Garden Expo at the Gympie Showgrounds. I have given talks and workshops at this event for several years now and it is one of the really positive events of the year. 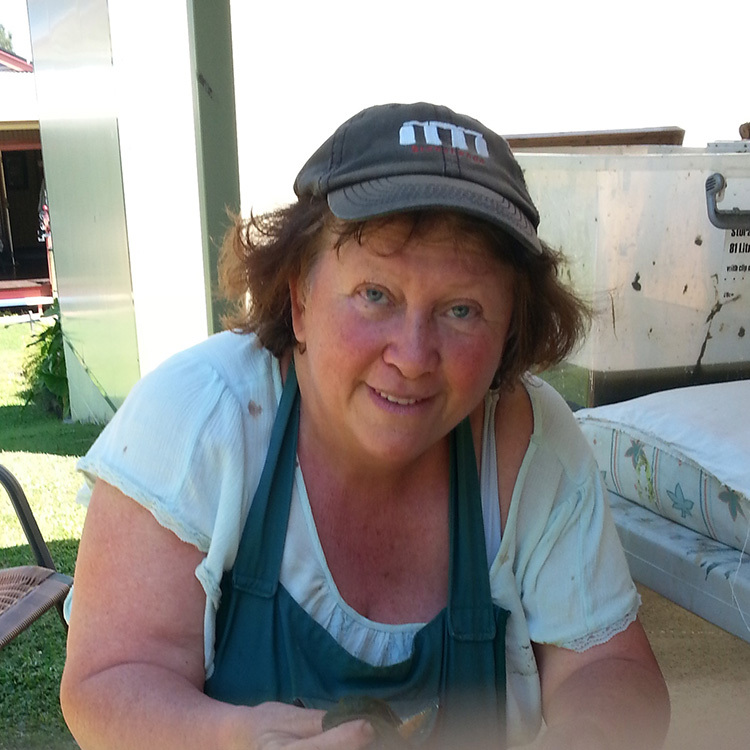 The Hempsel building also houses Gympie Landcare, Valley Bees and other groups promoting natural remedies, home growing, slow food and a range of other sustainable enterprises, so it is always a great day with like-minded people. I will be demonstrating making botanical paper using by-products of the seasonal lifestyle! This proves that your hobbies and garden are inter-twined. The pulps include turmeric & banana, lemongrass & dwarf papyrus and onion and sweet potato! There will be talks about seasonal living, harvesting and preserving, as well as other guests and celebrity gardeners and chefs. I will have some of my paper products and non-hybrid seeds for sale. Hope to see you there!